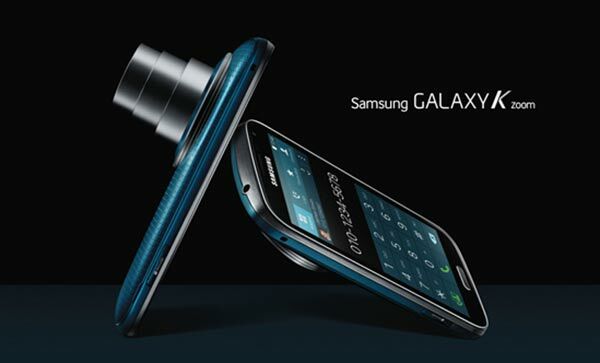 Today Samsung announced its new Galaxy K Zoom smartphone. 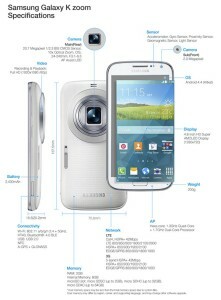 This is the successor to last year’s Samsung Galaxy S4 Zoom in all but name. For some reason Samsung has seen fit to launch this hybrid device with a new naming convention, perhaps it doesn’t want to slavishly follow its flagship line of smartphones with this camera-centric one. However getting back to the gadget in hand – it’s a big improvement on the S4 Zoom. While the new Galaxy K Zoom has the same 10x optical zoom lens with Optical Image Stabilisation (OIS) as last year’s S4 Zoom, it has got a pixel bumped sensor – 20.7 megapixels compared to 16 megapixels. As camera enthusiasts will tell you this isn’t necessarily a good thing to bump up without a corresponding increase in the sensor size… We hear that the new sensor is a Sony made one so it might indeed be improved in more than just megapixel count but it is the same type as last year – a BSI CMOS sensor. Dimensions: while the new device is larger (the screen is larger you see) it is much more like a phone than a compact camera. You can see in the picture above it is sleeker and less bumpy. All around a more appealing device and hopefully you like the Galaxy S5 dimpled stylishness. 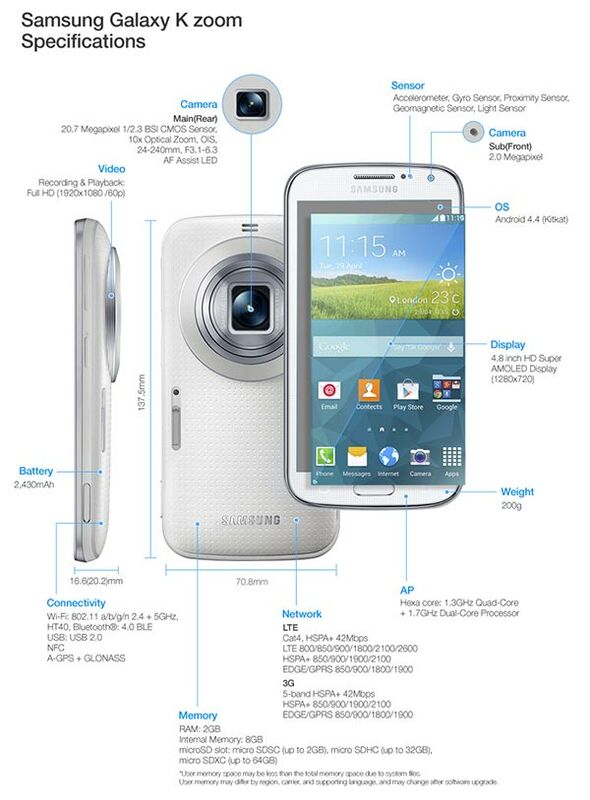 Eager buyers can expect to be able to clasp their hands around a Samsung Galaxy K Zoom before July. It will be made available in white, blue or black glossy shades and will cost about 500 Euros at launch.